While it was one of the least surprising reveals at E3 2018, Forza Horizon 4's official unveiling is still one to get your engine revved up for. A spin-off from the main Forza driving simulator series (think Gran Turismo, but on Xbox), FH4 is set in a gorgeously recreated take on Great Britain, with everything from the rolling hills of Scotland to the quaint country roads of England driveable. 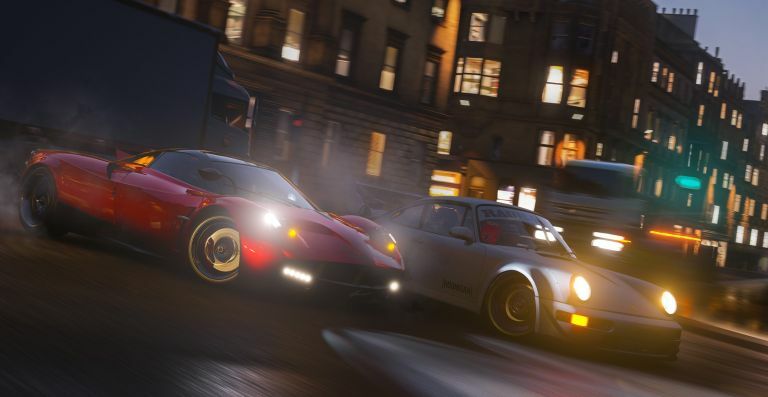 There are two big changes to the series - the weather will now change dynamically based on a shifting cycle of seasons, with everything from winter's snowfall making a race far more treacherous, to the rain-slick roads of spring reducing traction. It's not clear yet whether these cycles will change with the actual year, or run on a sped of clock like its day/night cycle, but it's a mechanic that should make every race feel that bit more unique from the last. It'll support 4K and even comes with a 60fps mode if you really want to push that new 4K TV of yours to the max via Xbox One X. In fact, even on a regular HD TV and a vanilla Xbox One, FH4 still looks incredible. Honestly, the UK has never looked so good. There's also a greater focus on social interaction and co-op, with more players now racing around a single server. You'll be able to chat and challenge other racers you encounter in seconds, all without a single loading screen. It arrives exclusively on Xbox One on 2 October, and if you've got a subscription to the Game Pass service, the game will be available through it on the very same day.